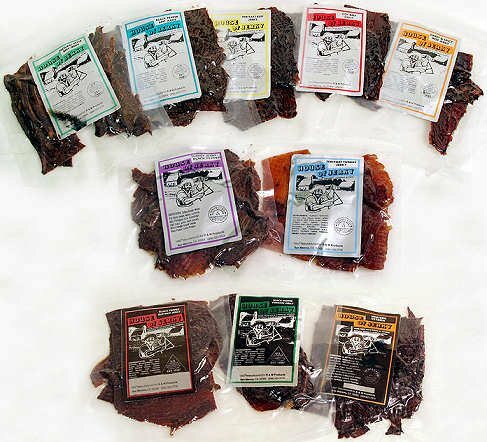 Our beef jerky is made the old fashioned way, sliced from lean whole premium top round steak. It is not ground, chopped, processed or formed into strips. 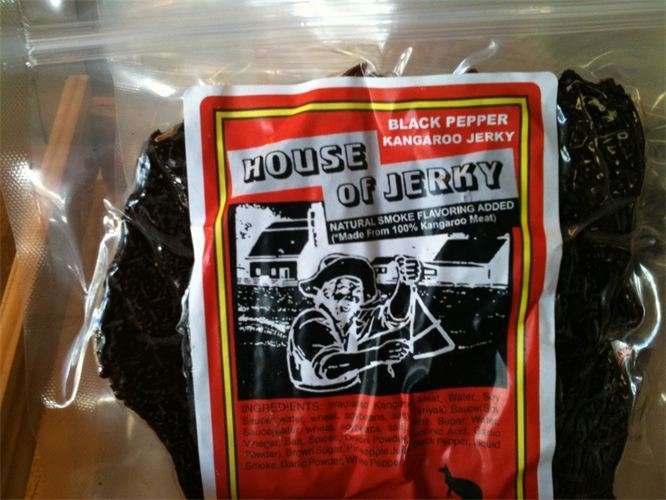 Our jerky is made fresh with no preservatives or MSG added. 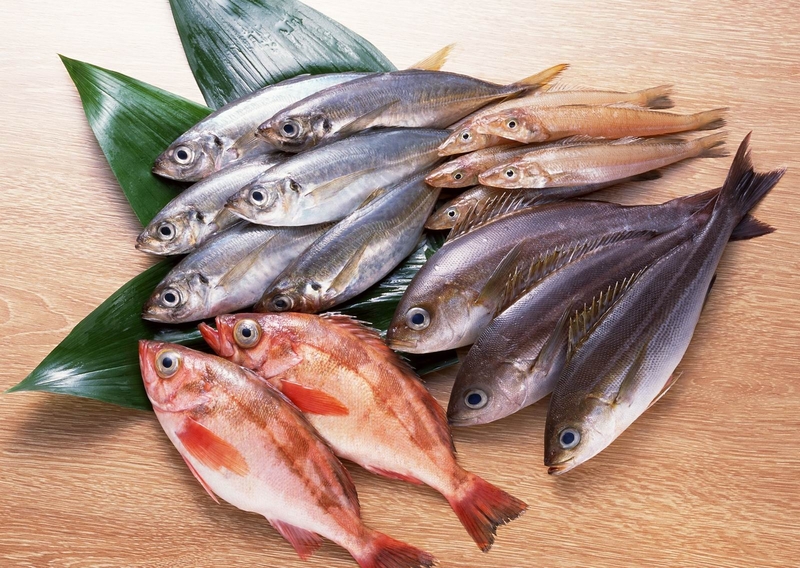 Our superior flavor comes from our seasoning and marinating process. Please visit our stores on St George Street in St Augustine, Florida! Alligator, Kangaroo, Buffalo, Venison, Elk, Python, Rabbit, Snapping Turtle and MORE! Juicy delicious meat stick snacks. 6 1oz sticks in each 6 oz package!